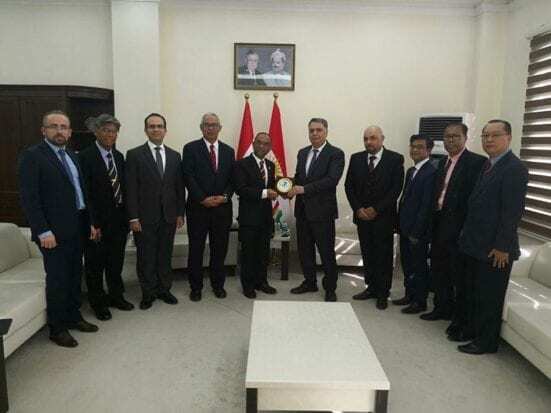 KURDISTAN, 12 Feb. — Universiti Teknologi Malaysia (UTM) has expanded its wing to a greater level of Transnasional Education (TNE) with the official visit of Vice Chancellor, Prof. Datuk Ir. Dr. Wahid bin Omar to Qaiwan University, the first UTM Franchise campus oversea from 11 to 13 February. Prof. Datuk Ir. 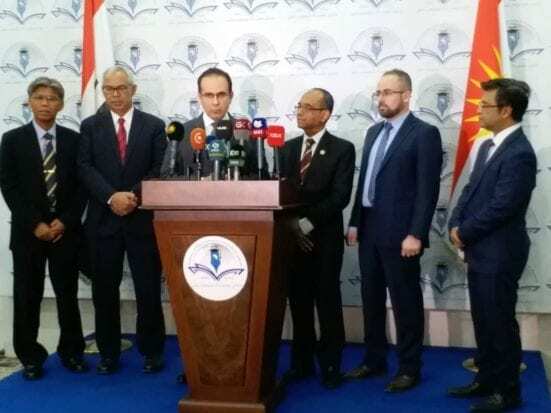 Dr. Wahid together with other representatives from UTM and UTMSPACE received a special welcome form the Minister of Higher Education and Scientific Research of Kurdistan, Dr. Yusuf Goran to discuss the strengthening of the UTM Franchise campus which has started its operation in Kurdistan since last year. 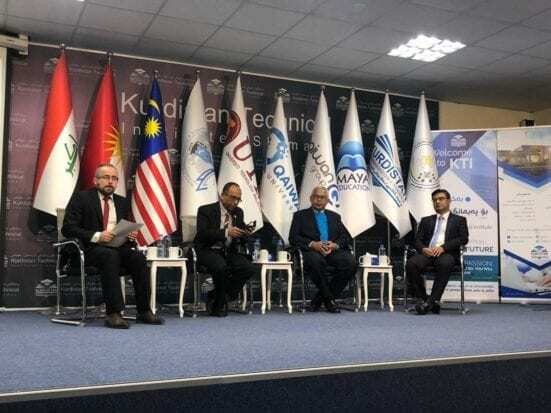 The Vice Chancellor had also been invited to share his expertise and experience in a forum organized by a local television station on “Globalizing the Higher Education in Kurdistan region”. Apart from that, he was also scheduled to meet the top management of Qaiwan Group, and a few other meetings and visits to discuss related matters during the trip. Prof. Datuk Ir. 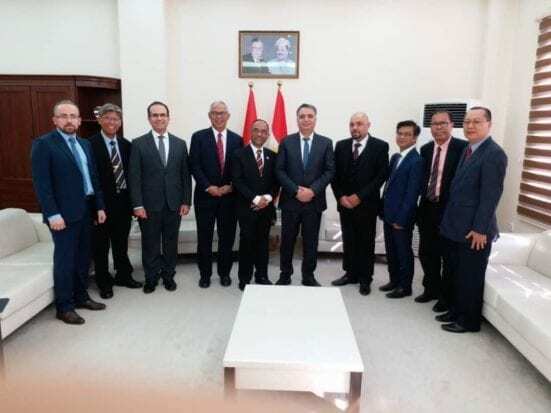 Dr. Wahid said, the visit to Kurdistan region was very essential to explore other potentials in higher education which would pave the way towards strengthening the Malaysian higher education brand in Middle East countries to boost Malaysia and UTM’s name and prominence globally. “The collaboration will not only give both parties a mutual benefit of academic knowledge but also the will provide proof that academic programmes in UTM are certified and acknowledged worldwide,” he added. 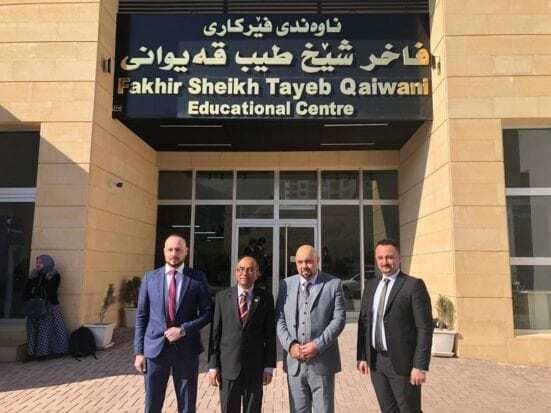 UTM established the first Franchise Campus oversea through a strategic partnership with Qaiwan University, where UTM would offer its academic programme in franchise mode to the local students in Kurdistan, and the students will get the degree from UTM. At present, a total of 128 local students of Kurdistan have registered in four undergraduate programs offered by UTM. The programmes are Bachelor in Computer Science (Software Engineering) and Bachelor in Computer Science (Computer and Network Security) under the School of Computing, Bachelor of Management (Technology) under the Azman Hashim International Business School (AHIBS), and Bachelor of Science (Human Resource Development) under the Faculty of Social Science and Humanities. The students started their studies since Semester II, 2018/2019 session. Prof. Datuk Dr. Wahid added that the number of students expected to grow significantly as UTM will offer another four undergraduate programmes and two postgraduate programmes under the Faculty of Engineering and AHIBS. He also said that UTM received a positive feedback and response from the meeting with the Minister which was highlighted in the local media. 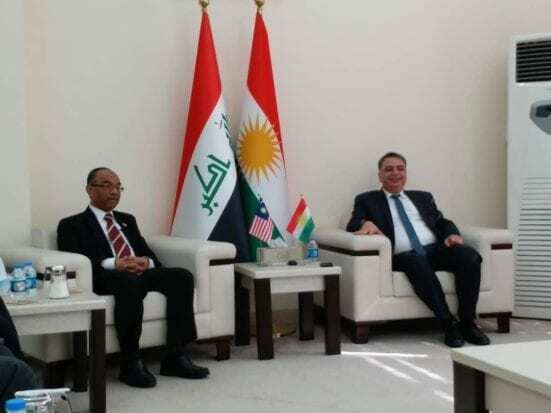 “They appreciate our presence in Kurdistan. Thus, we are positive that this collaboration would give more benefits for both countries and would have great prospect in the future,” he added. Joining the visit was the Managing Director and the Chief Executive Officer of UTMSpace, Prof Ir Dr Azraai bin Kassim, Chair of Space, Prof. Dr. Othman Che Puan, UTMSpace General Manager of Transnational Education Division, Mr Zulkifli Osman, UTM Pro-Vice Chancellor (Strategy), Prof. Dr. Shahrin bin Mohammad and the President of Qaiwan University, Prof. Dr. Habibollah Bin Haron.